Massimo had a good final run before his young horse Champs today at Solihull 90. He did a super dressage test for a 23.4, one rail SJ and clear XC. 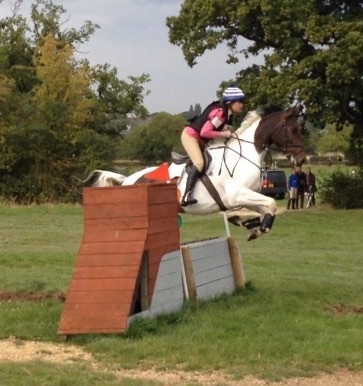 He was very bold XC apart from when he greenly hung to the collecting ring after fence 3. It was a very educational course with his first ever Owl Hole, a big ditch and other interested nicely dressed fences, all of which he flew.